Sounds like you have a pretty good idea of what you want. If you want to quickly change shutter AND aperture in Manual mode then the D90 has a rear thumb wheel and front index finger wheel to adjust both. It also has a DOF preview button. Truth is I’ve never had good luck with the tracking autofocus on my D90. There just are enough AF points to reliably track a moving subject. I shoot almost exclusively in continuous AF with a single AF point selected and the AE-L/AF-L button configured to lock focus while held. This allows me to always have continuous focusing, but I can still lock focus and recompose if needed. The D7000 would be a completely different story and I’d likely trust it to track subjects for me. For quick action you’ll be served well by the D90 or D7000. The D7000 has a more sophisticated AF system and can shoot a little faster (6 FPS vs 4.5 I think). About a $450 difference between the two so that all depends on your budget. Another thing to think about is lens selection. Most of the cheap lenses start at f/3.5 and get to f/5.6 or even f/6.3 in a hurry. Zooms with a f/2.8 constant aperture can easily cost more than your body. When you say you “don’t need all the gizmos” are you talking about autofocus and metering or things like HD video and other misc features? The Nikon D90 was released about 2 year ago and the D300 almost 3 years ago (D300s replaced it about a year ago). There’s a pretty big gap between these two price points. The D90 was an incremental upgrade from the D80 and lacked most of the “professional” features of the D300s. The D300s is a beast and has more in common with the D700 then any of the lower priced models. Now we have the D7000 thrown into the mix and boy does it mix things up. 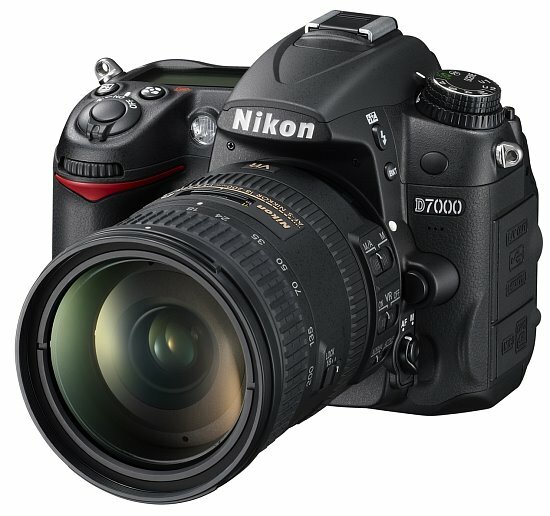 I honestly think the D7000 is one of Nikon’s most significant releases in recent years. The big step in price between the D90 and D300s really priced out amateurs and hobbyists who might have wanted a little bit more than what the D90 offered. The D7000 is priced smack dab in the middle of that gap. As amateurs like myself delve further into photography and hone or skills we become more demanding of our equipment. The D7000 represents an opportunity for shooters like me to get access to professional features for $500 less than previously possible. Odds are if you are looking at the D7000 then you have lenses already and just want to get the body, but it is available with the 18-105mm as a kit. Another option is to get the body only and then add on the very nice Nikon 18-200mm VR instead. I usually leave the main ISO at 200, AUTO ISO on with a minimum shutter of 1/15 and MAX ISO of 1600. That means the camera will raise the ISO to 1600 to try and maintain a 1/15 second shutter. If it reaches ISO 1600 and there still isn’t enough light to maintain the minimum shutter, then it allows the shutter to fall below that setting. If you need to raise the shutter to avoid blur then you either have to lower your f-stop (if you aren’t wide open already) or add more light to your scene (i.e. flash). If you have the minimum shutter set to something faster like 1/60, it will start bumping the ISO once your light drops off a little, especially with slower apertures like f/5.6. What’s your minimum shutter setting at? Which lenses are you using? The consumer lenses with f/3.5-5.6 apertures are fairly slow even wide open. In falling afternoon light this combination of slower aperture and high minimum shutter could cause AUTO ISO to kick in unexpectedly. To complicate things a little further, if the flash is on, it ignores AUTO ISO and sets the ISO to the normal ISO setting (200 in my case) and it uses the “Flash shutter speed” (custom menu e1) as the minimum shutter. I have that set to 1/30 most of the time.